Chronotech is an Italian watch company based in Milan. 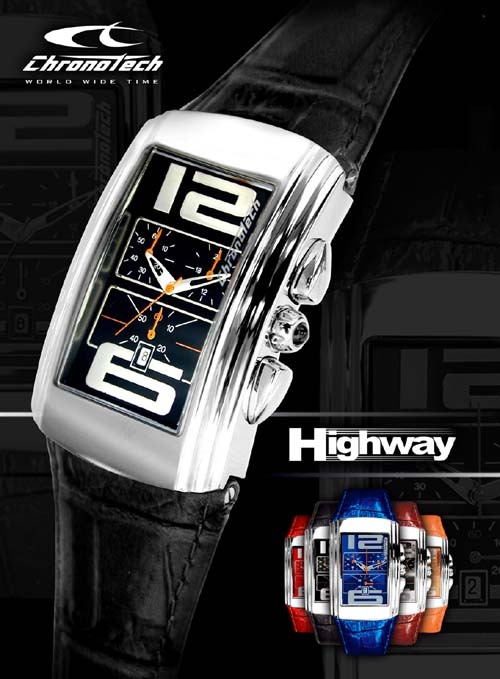 Their latest is the Highway chronograph. They feature Swiss ETA quartz modules, mineral glass, and all steel cases. Prices range from 150 Euros for the leather strap version, to 200 Euros for the steel bracelet.